Courtesy of Continental West Realty, Gary Weixelman. 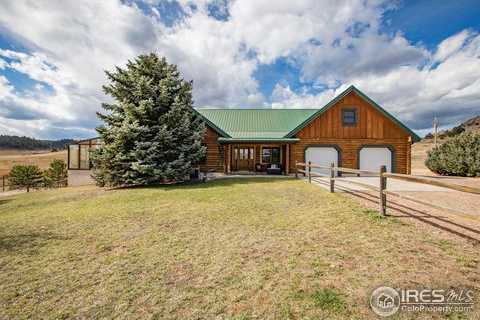 Please, send me more information on this property: MLS# 864779 – $1,795,000 – 11881 Red Feather Lakes Rd, Livermore, CO 80536. I would like to schedule a showing appointment for this property: MLS# 864779 – $1,795,000 – 11881 Red Feather Lakes Rd, Livermore, CO 80536. This content last updated on April 25, 2019 21:04. Some properties which appear for sale on this web site may subsequently have sold or may no longer be available. We’re a small, local, client focused brokerage. While many companies will hire anyone with a real estate license, we selectively hire agents with integrity and real estate experience. No shmoozy salesman, just reliable, friendly, experienced Realtors. Copyright © 2019 Greyrock Realty LLC. All rights reserved. Buying a home can be confusing. If you're a first-time home buyer there are 10 things you need to know. Provided for limited non-commercial use only under IRES Rules. Listing information is provided exclusively for consumers' personal, non-commercial use and may not be used for any purpose other than to identify prospective properties consumers may be interested in purchasing. Information deemed reliable but not guaranteed by the MLS. Information source: Information and Real Estate Services, LLC. Provided for limited non-commercial use only under IRES Rules © Copyright IRES 2019. All Rights Reserved.